We practice our letter formation in different ways - really big, standing up, in sand trays and lying down on the floor. 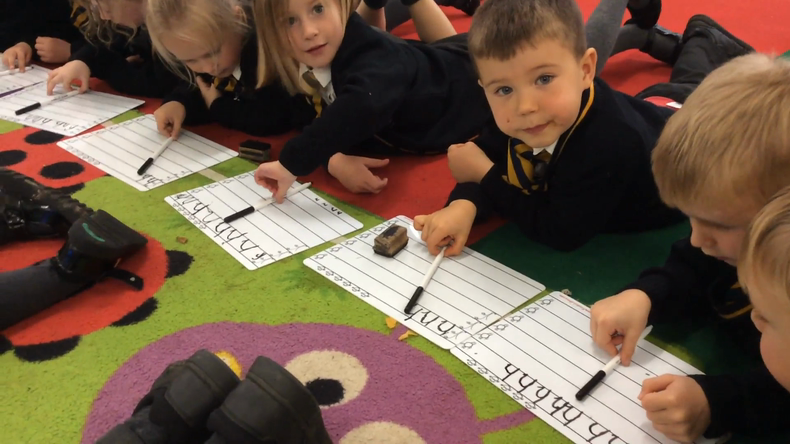 We make sure that the children are learning to hold their pencil correctly. To help them think about this and remember how to do it we sing a song. 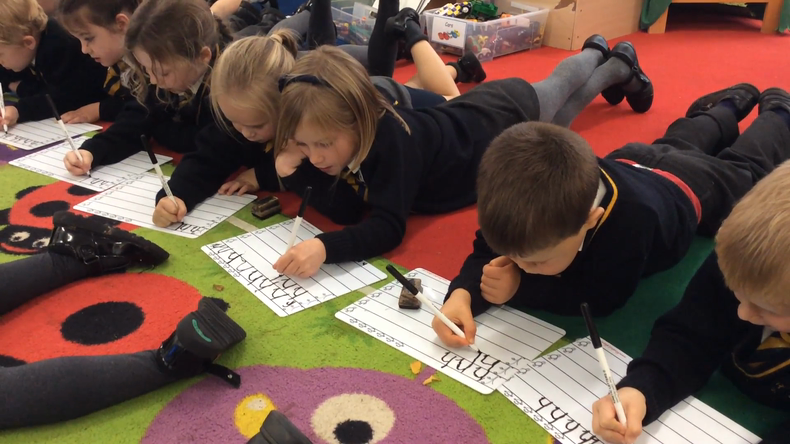 So the children remember how to form each letter we say a little phrase to help them. You will often hear "down - bump", and the bump reminds the children to place their letter on the line. When they practice at home make sure your child writes on the line. Your child may be needing to practice writing it on a larger scale like this. 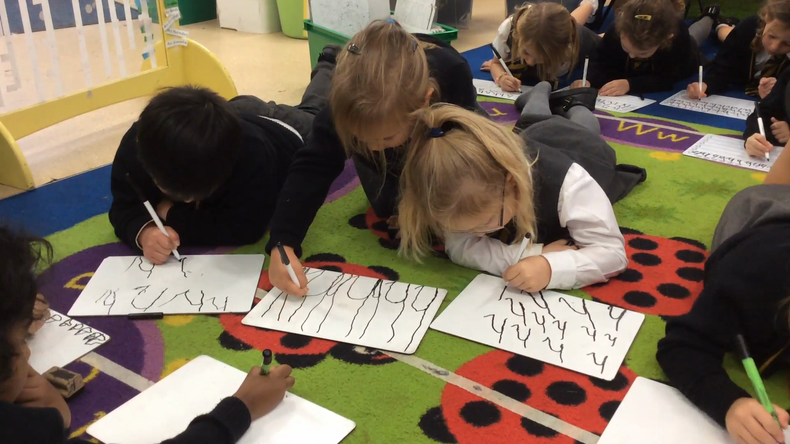 Practicing letter formation can be done with just about anything - with a stick in mud, or leaves, writing with a squirty bottle of water on the ground, in sand, or in rice on a tray, flour on a plate or even soap on the tiles while standing in the shower!